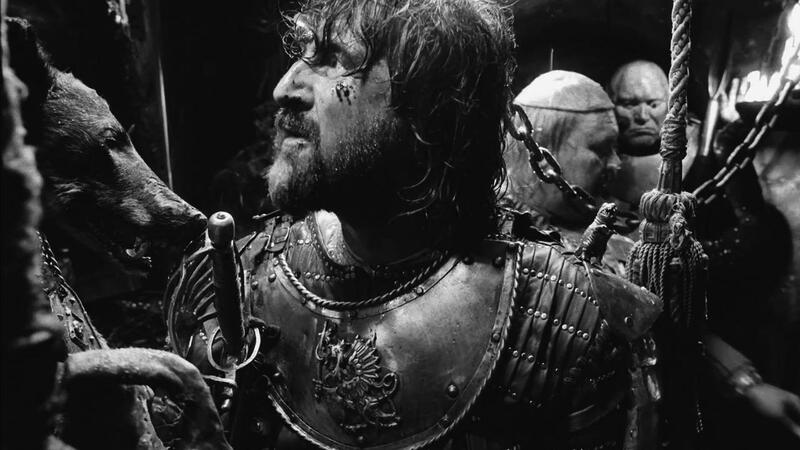 The final film by master Russian director Aleksei German is a labor of — love, I suppose? — German having worked to realize his singular vision for 14 years, with his widow and son putting the finishing touches on it after German’s death in 2013. It is a complete and fully-realized a depiction of hell on earth as you will see on a movie screen. It’s no wonder that the new Blu-ray edition out from Kino Lorber is encased in black plastic rather than the usual cheery blue. 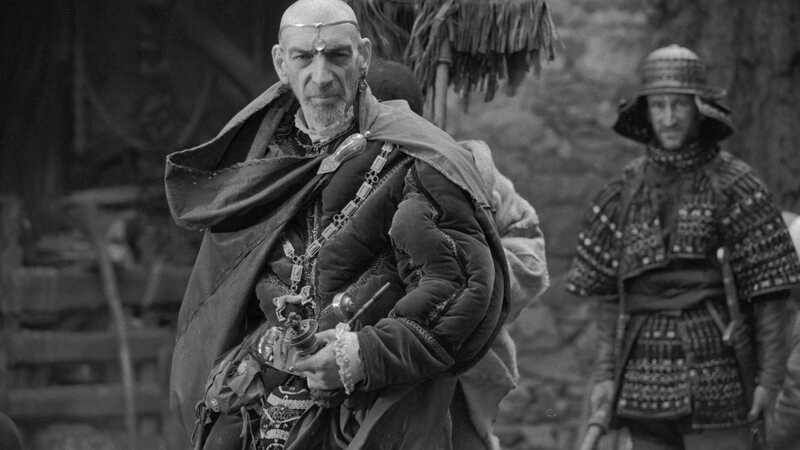 Based on a revered work by Russian sci-fi writers the Stugarsky brothers, “God” is set on the planet Arkanar. But don’t expect jetpacks or robots — Arkanar is at a time in its development that corresponds with Earth’s own Middle Ages, a brutal landscape of filth, violence and decay, where most of the denizens scrabble in the mud and feces for subsistence. The difference is that the ruling class in Arkanar has succeeded in stamping out its Renaissance, executing anyone who can read or write. In one early scene, soldiers find a sheaf of papers hidden in a barn (“The writing looks so even,” the illiterate stormtrooper marvels) and casually put the author to death. Our perspective is that of Don Rumata (Leonid Yarmolnik), one of a handful of Earth scientists who have been living among the people of Arkanar, observing them but forbidden to interfere, Prime Directive-style. Rumata’s cover story is that he is a descendant of one of the planet’s pagan gods, and the superstitious Arkanarians revere him. So he staggers through this landscape, watching horror heaped on top of horror, unable to stop it. German’s camera makes us a helpless observer as well, with long unbroken takes, the camera darting and bobbing around obstacles as if manned by an unseen documentarian. The people Rumata meets even occasionally turn to mug for the camera a little. The result is deeply unsettling and mesmerizing over the course of three hours, as the viewer vacillates between can’t-look and can’t-look-away. By putting us so squarely in the middle of the carnage, “God” forces us to accept our own passive role in the horrors of the world. Isn’t Rumata riding his horse through this nightmare not much different than ourselves, scrolling through headlines on Twitter, shaking our heads sadly for a moment, and then continuing to scroll? And when he is finally moved to act, the result is only more chaos. The intellectual purge on Arkanar is probably most allegorical to Stalin’s reign of terror, but uneasily applicable to any time and place in human history. And, of course, we have to pause to wonder what 2015 would look like if we had never had our Renaissance. All of which is to say that “Hard to Be A God” is one of those movies that exists outside of the conventional notions of good or bad, of recommend or don’t recommend. It’s a punishingly hard watch, but one with undeniable force and clarity. It’s the sort of masterpiece that’s worth suffering through.